Jaane Tu Ya Jaane Na Movie Synopsis: The movie is a love story. A theme that has brought success to many films. It is a story about a group of friends, but in the group it focuses on one couple who are in love, but they do not want to beleive it. Jaane Tu Ya Jaane Na Movie Review: The movie marks the debut of Imran Khan and all around a good movie. The movie is a love story that has developed between two people from a group of friends. The movie has a good story and the music is by the grand master AR Rahman, with superb compositions. 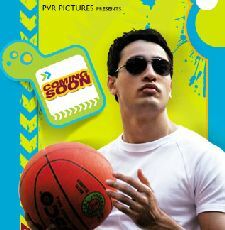 The movie is well shot and if fun, and is targetted to the youth. Aamir Khan Aamir Khan was hurt on the set of is upcoming movie Ghajini (2008) while shooting a fightling scene for the movie. The incident involved him lifting a person and throwing him into the wall, but when Aamir limited the person his hamstring muscle tore up. He was rushed to a local nursing home and received medication. Aamir will now be resting until going back to finish the shooting for Ghajini (2008) . Now Aamir will use the rest and maybe finish up on the post production of Jaane Tu Ya Jaane Na (2008) Jaane Tu Ya Jaane Na.